Just as an effort to place a rent control measure in the City of Sacramento ballot gets underway comes a report verifying what many have suspected - rent increases in the Sacramento market have been steep. According to a report from Seattle-based real estate database provider Zillow.com, Sacramento has experienced the highest residential rate increases in the country. In their study, Zillow found that annual median rents in the Sacramento increased 8.3-percent. With the annual increase, median rents in Sacramento are $1,845 a month. The next highest rent increases were in Seattle, and Riverside, California which saw rents increase 5.1 and 6.3-percent respectively while the national average increase was 2.3-percent. The Zillow report comes just as an effort to place a rent control measure on the ballot for the City of Sacramento has been initiated. On February 20 a notice of intent to circulate a petition has been filed at the City of Sacramento city clerk's office. The notice says the measure seeks to amend the city's charter to create the establishment of a Rent Stabilization Board. If organizers gather enough signature to make the ballot and should it be approved by voters, the board would have broad legislative authority regulate a vast array of landlord-tenant issues. The initiative would create a baseline based on February 2018 rents and rates would be allowed to increase after a vacancy based on the consumer price index. If established, the board would consist of nine members, eight of which would be elected on a by-district basis, and one appointed by the mayor. All members would serve four-year terms. In an email sent yesterday, Sacramento-based Region Business announced it would oppose the efforts. A construction and business advocacy organization, Region Business said the initiative would hamper private sector efforts to build additional housing units in the city if approved. The email says "In the midst of a housing crisis, rent control is an illogical idea that only exacerbates the problem. In coming days, we will share with you our efforts to work with the California Apartment Association to create a strong coalition of business, civic, and community leaders to oppose this radical policy." The notice of intent was filed by Omega Brewer, Margarita Maldonado, and Michelle Pariset. In their document, the organizers state the purpose of the initiative is to "promote neighborhood and community stability, healthy housing, and affordability for renters in the City of Sacramento by controlling excessive rent increases and arbitrary evictions...while Ensuring Landlords a fair and reasonable return on their investment and guaranteeing fair protection for renters, homeowners, and businesses." The efforts to promote the initiative are supported by an assortment of labor unions including SEIU locals 100, and 1021 and tenant advocacy groups. The filing can be viewed here. What's better than rent controls? A tax on vacant lots and unoccupied housing. While rent controls make it less attractive to supply housing, a vacancy tax makes it less attractive NOT to supply housing! 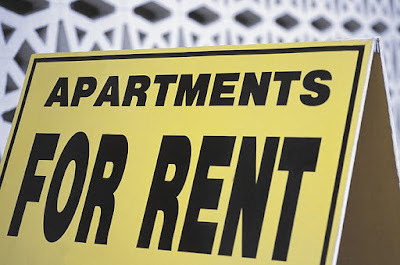 A vacancy tax of $X/week makes it $X/week more expensive NOT to get a tenant, and thereby REDUCES, by $X/week, the minimum rent that will persuade the owner to accept a tenant. With a sufficiently heavy vacancy tax, evictions due to foreclosures would become a thing of the past, because the foreclosing bankers, in order to avoid the tax, would want to retain the current tenants or former owner-occupants as continuing tenants. Avoidance of the vacancy tax would initiate economic activity, which would expand the bases of other taxes, allowing their rates to be reduced, so that the rest of us get a tax cut.